As if the Seattle Seahawks didn’t have enough contract problems, safety Kam Chancellor is threatening a camp holdout if he doesn’t get an improved deal or at least enters some sort of negotiation about it. This is what happens when you do so well so quickly with a large group of young players. All of them are looking for new, bigger deals at the same time. The Seahawks have already handed more money to various players who played a big part in winning the Super Bowl. But some of them, late to the party, are going to be left frustrated which might lead to the dismemberment of the squad, gradually. 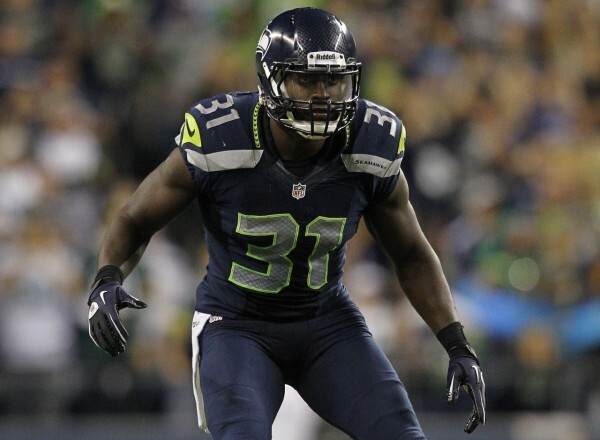 Per over the cap: Kam Chancellor signed a four year contract extension with the Seahawks on April 23, 2013. Chancellor’s contract is worth $28,002,008 with $7.825 million in full guarantees upon signing and a total of $17 million guaranteed. The fully guaranteed money consists of a $5 million signing bonus and a $2.825 million base salary in 2013. Chancellor’s $4.725 million base salary in 2014 was guaranteed for injury and became fully guaranteed on February 7, 2014. In 2015 Chancellor has $4.45 million in injury guaranteed salary that will become fully guaranteed following the 2014 League Year Super Bowl.Chancellor’s contract contains a $325,008 roster bonus in 2017, which is paid out in 16 weekly installments for each game in which he is active that season. He will earn a $100,000 for each year in which he is selected to the Pro Bowl. These are the details, but Chancellor, a three-time Pro Bowler in his five seasons in the league and twice on the AP’s second All-Pro team, wants more. The Seahawks might have been brilliant to sign both him and Michael Bennett (who is grumbling, but probably won’t hold out) to below-the-market extensions, but the raises and extensions happening all around them are hard to ignore. Bennett isn’t going to hold out. Chancellor? He’s considering a camp holdout in order to make that contract upgrade happen. It’s hard to see the Seahawks actually improving that deal at the moment. Chancellor is signed through the 2017 season. There’s the Bobby Wagner contract to extend, and obviously the Russell Wilson problem which has been dragging on for a very long time. Despite being one of the best safeties in the league, it’s going to be difficult for him to get a better deal.